Fifteen Kaua’i residents had launched a lawsuit against Dupont citing property damage and loss of use and enjoyment of their property. 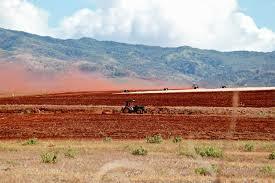 The basis of the complaint was the Waimea Research field and the increased exposure to red dust contaminated with pesticide. The injunction, based on a 7 member jury, awarded damages citing “seriousness of harm to each plaintiff outweighs the public benefit of Pioneer’s farming operation.” The amount of damages included $191,315 for property damage and $315,775. 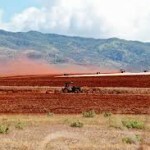 Kauai, along with other islands and states have been locked in a legal battle with the biochemical company directed at limiting the residents exposure to the pesticides prayed on genetically modified crops. The defense raised by chemical companies cites that local government ordinances have no relevance and do not preempt state or federal law. The Hawaii community and other counties are battling with the implementation of federal regulations which harm local city governments and cause environmental devastation. “Withdraw the lawsuit from the County of Kauaʻi, honor and comply with our laws. Treat us with the same respect, the same dignity and the same protections that you give the people of Switzerland. Do not spray chemicals in my community that you cannot spray in your own community,” Councilmember Hooser said. The Councilmember was referencing the use of the herbicides atrazine and paraquat, chemicals which are banned from use in Switzerland, but sprayed constantly and even found in drinking water in Hawaii communities. ← Diet impacts on gene expression and affects health and aging.